The laws of most states are coming around to what public perception (not to mention science) understands very clearly–drivers are distracted when they use handheld cellphones for talking, texting and e-mailing. Those distracted drivers are more likely to cause accidents. Most states have some sort of cell phone laws. In Maryland, for example, we prohibit the handheld use of cell phones for any purpose (even while stopped at a red light). So, in Maryland and other states, we rely on hands-free technologies, like Bluetooth. 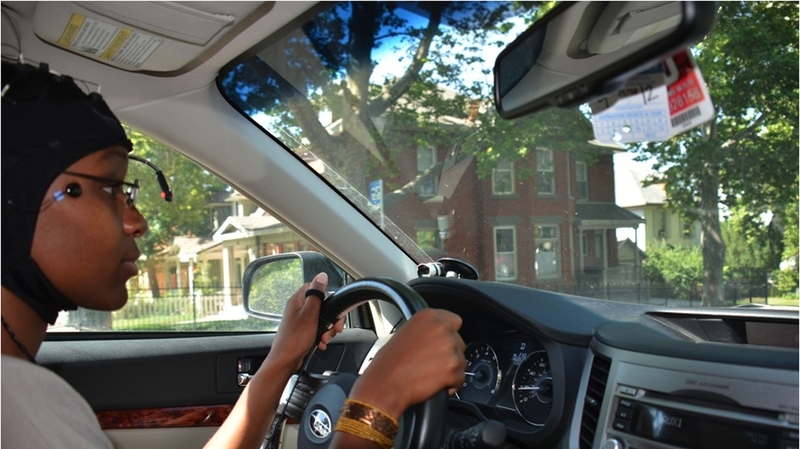 Many vehicles are now coming equipped with their own hands-free devices. My Honda, for example, allows me to push a button on my steering wheel to access my voice-recognition speed dial. Even cooler, when I receive text messages, my car will read the messages aloud, and allow me to dictate a response. Here’s the problem: these technologies may be no safer than the behaviors they were designed to replace. A new report, sponsored by AAA and conducted by the University of Utah, has determined that hands-free technologies don’t actually make us safer. The CEO of AAA calls it “a looming public safety crisis.” The report (found here). In the study, they used some rather high-tech looking devices to measure driver reactions and brain activity when listening to the radio, talking on a cellphone (with and without hands) and using voice-activated talk-to-text features. For its part, the automotive industry wants more research, and believes that the study “focuses only on the cognitive aspects of using a device, and ignores the visual and manual aspects of hand-held versus integrated hands-free systems.” I understand wanting more research to peer review this study, but the fact remains that drivers using this (according to the Utah study) are distracted. It’s not an issue of what is better (hands versus hands-free), it’s an issue of whether any of it is safe. Putting the safety factor aside, the question is how lawyers will deal with this in real-world cases of accidents that happen while a driver is using these hands-free features. Lawyers should argue that the research is out there, and the public is aware that these features are dangerous (or at least potentially so). Heck, even NPR had an article on it. The hurdle will be whether a reasonable person would avoid using the technology–if so, it can be evidence of negligence. If not, the judge or jury could ignore it. We predict that this will be useful evidence–some day. But probably not until the first automobile manufacturer pulls hands-free from its line of cars.